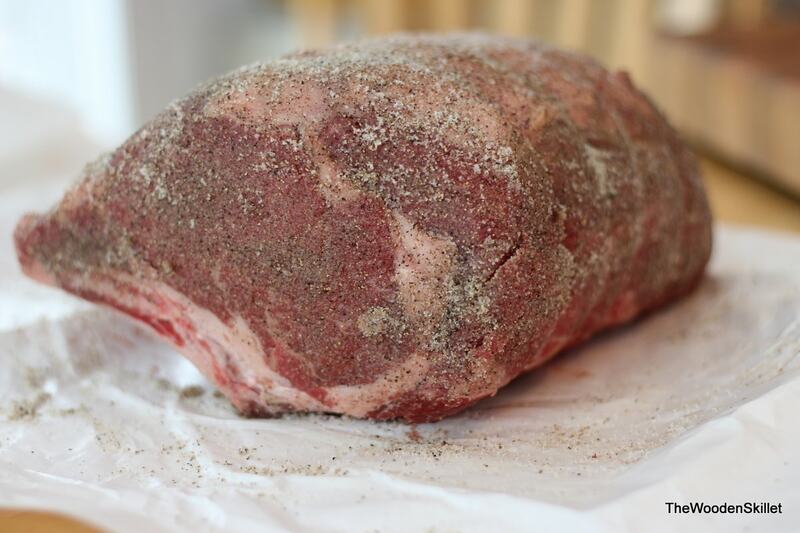 Salt and Pepper Crusted Standing Rib Roast – the most amazing prime rib recipe for that special occasion or holiday! 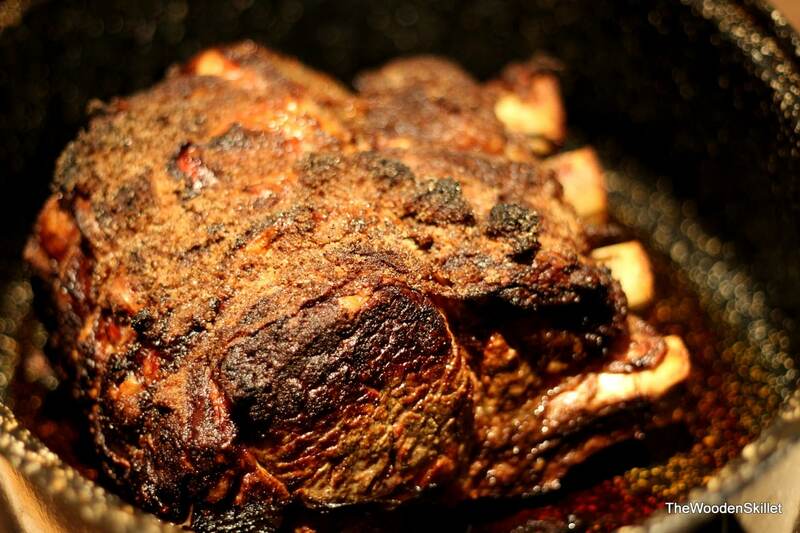 So excited to share with you guys our family recipe for Standing Rib Roast!!! I don’t know about you guys, but come every Christmas this is on the menu!! I know it sounds slightly intimidating, but this is actually one of THE simplest recipes you will ever encounter. And it turns out perfectly EVERY. SINGLE. TIME. 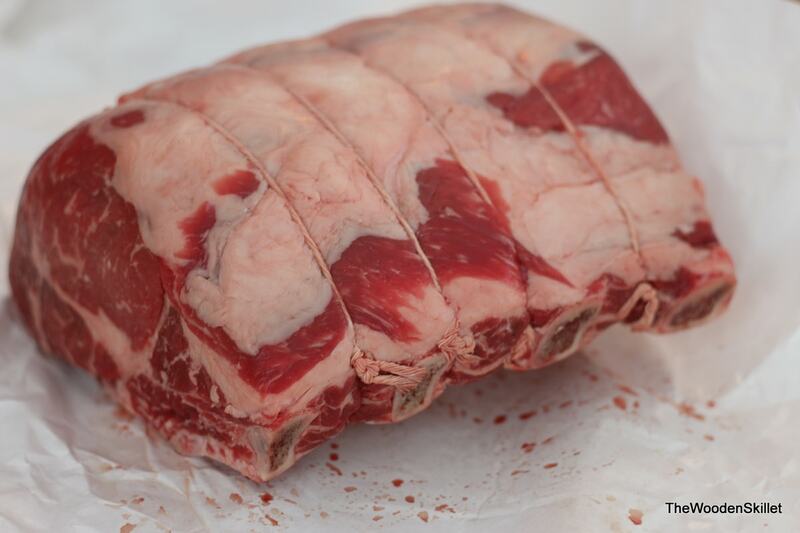 Prime rib, while decadent as can be, is really a very simple cut of meat to cook and season. It has so much flavor build in to it with it’s marbled fat. 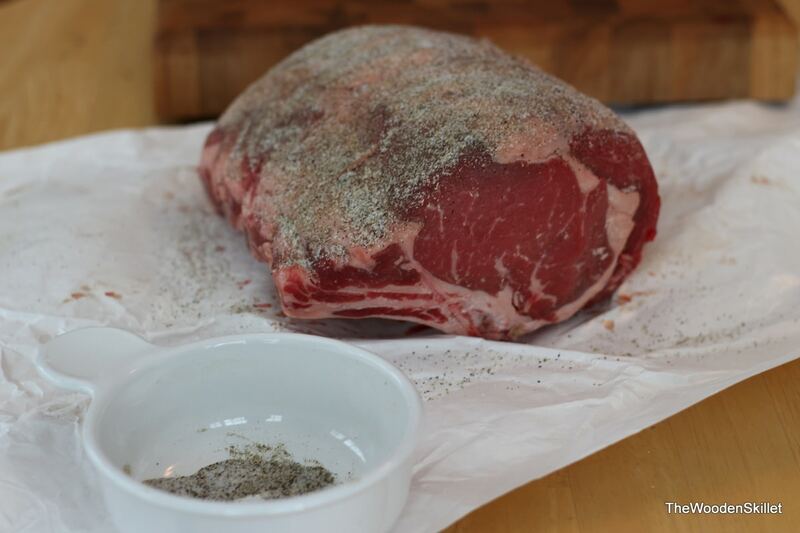 Add your salt and pepper rub, throw it in the oven and you are good to go. So simple, yet highly sophisticated and should be on your list of things to make when company comes over. 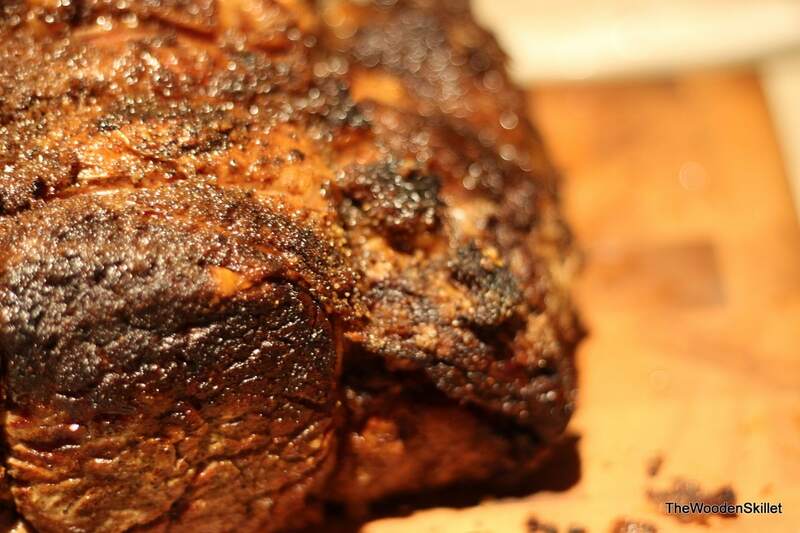 Our beautiful 8 pound prime rib. Start adding the salt and pepper rub. 2. Salt and pepper rub complete. 3. Place in roaster. Cook at 475 for about 20 minutes then reduce 325 and continue to cook until the middle part of the thickest area of the rib roast reads 115 degrees or 125 degrees, depending upon whether you want to have your roast medium-rare or medium, respectively. The crust on this was amazing…..
You really need to try this. 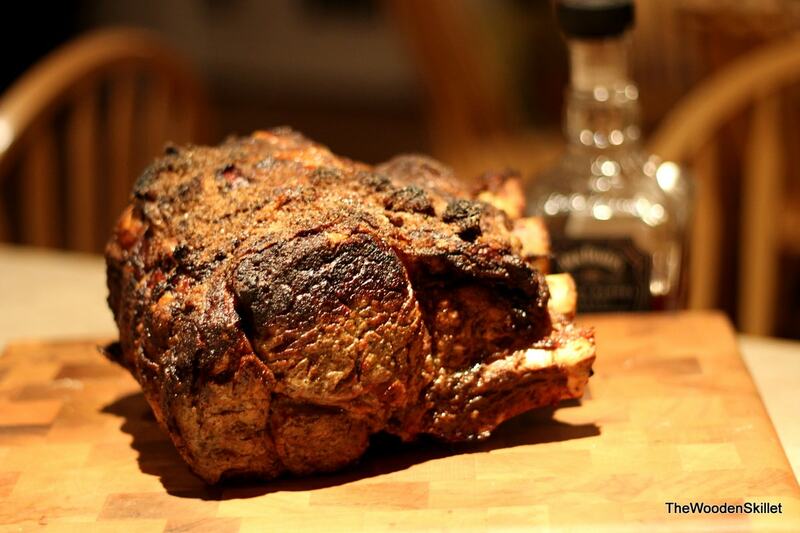 If you have any reason to throw a dinner party, this should be the what you design your meal around…. so awesome. The wonderful, buttery fat paired with the simple salt and pepper crust is minimalism at its finest. You don’t need to do much to this cut of meat to bring it to the next level. We had an amazing Christmas dinner and this was the star. I absolutely love this holiday tradition. Let me know what other variations you have on this delectable entree. Enjoy! Here is a recipe for Garlic Rosemary Roasted Leg of Lamb too if you are looking for delicious holiday main dishes!! Perfect for any special occasion and so easy to make! 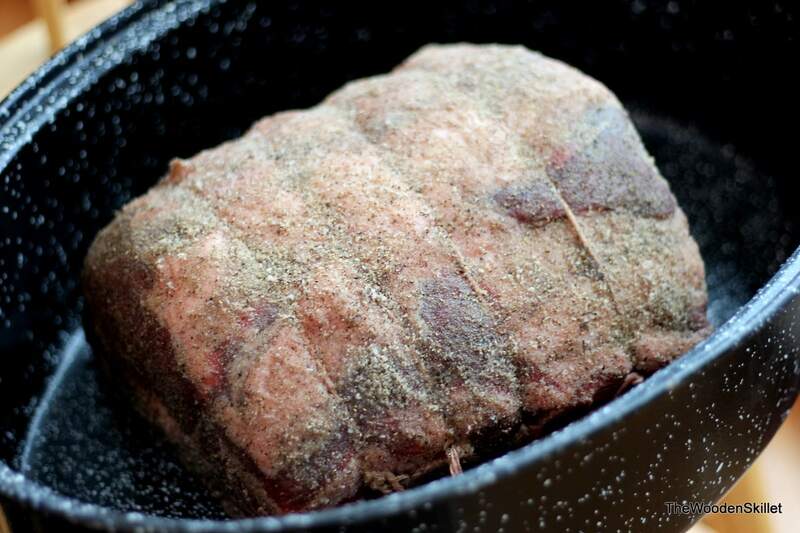 After rubbing with salt and pepper, leave out to allow the roast to come to room temperature. 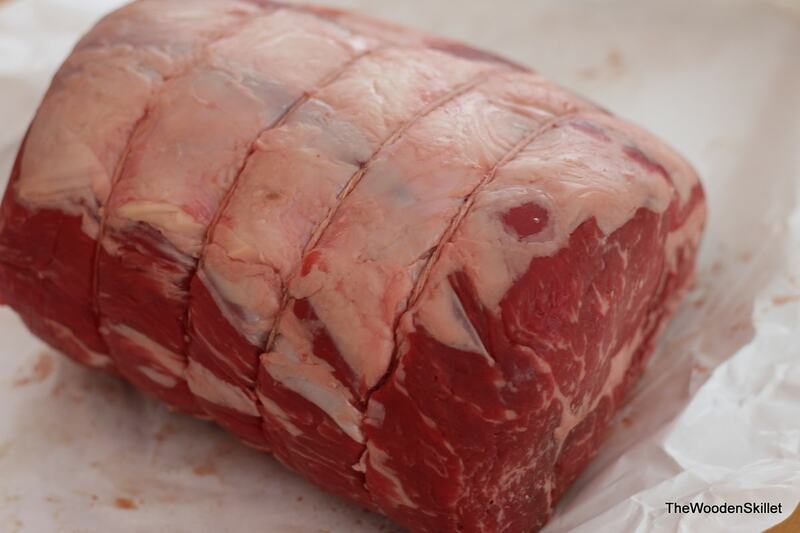 Place rib roast on roaster and place in oven, uncovered. 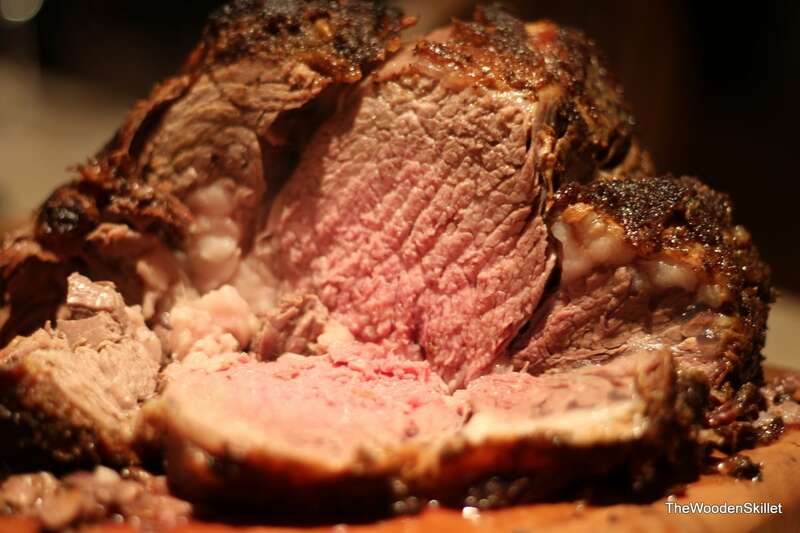 You will want to cook your rib roast/prime rib for a TOTAL of 15 minutes per pound (this will result in a medium rare center – if your roast is particularly robust, cook 16 or 17 minutes per pound). The first 20 minutes will be at 500 degrees. Then drop the oven temp down to 325 for the rest of your cooking time. DO NOT OPEN THE OVEN AT ANY POINT. Cut into steaks and serve immediately. I like to serve with my Creamy Horseradish Mayo. An 8 pound roast serves approximately 8 people, assuming each person consumes a 1lb prime rib steak; adjust accordingly as desired.